With Triskell’s Financial Management capabilities, you can manage your company’s portfolio with real-time visibility into financial performance from budgeting through collection of actual costs. 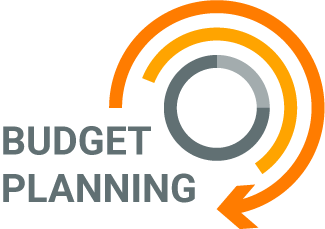 Triskell’s flexible budget management capabilities combine top-down and bottom-up approach to provide clear visibility of budgets, forecasts, actuals and any discrepancies. Triskell’s unique approach combining top-down and bottom-up approach ensure real-time visibility into budget performance, forecasts and actual costs across entire portfolios. With roll-up and drill-down capabilities to any level in your portfolio hierarchy. 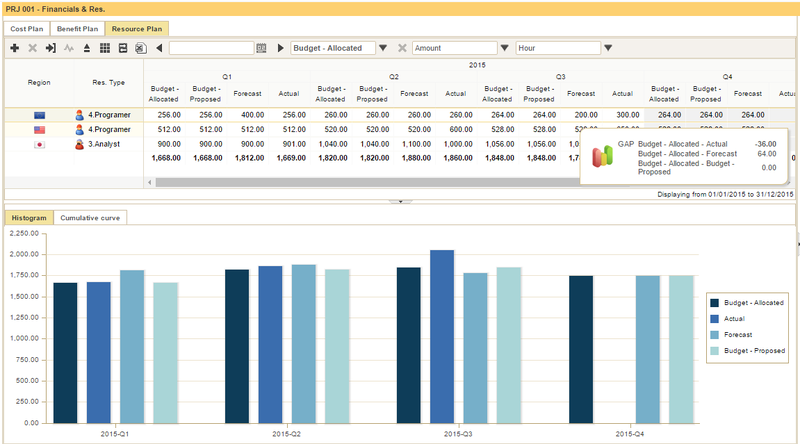 Manage Budget Forecast and Actuals Cost at Any levels. Triskell’s advanced budget management features allow you to manage as many budget versions as needed, according to any time frame splitting. This insures that Triskell PPM-Factory can support any budget allocation and review process, for any Portfolio items. Take informed decisions in order to plan or re-plan your portfolios to stay aligned with business priorities and financial and human resources capacities. Public and private versions (i.e. budget, forecast, actuals): versions are secured by role and lifecycle. No limit in the number of versions. Versions can be edited simultaneously in the same grid. Multi-currency for budgeting: edit data in Euros, Dollars or any other currency in the same grid. Embedded rollups from child-related objects, from pools and timesheets. Asses possible impact and results of those business discrepancies and evolution. Triskell simulation function allows you to anticipate changes and to simulate different scenarios for funding and planning in order to make the best possible decisions. Multi-currency and multi-rate management. Triskell can support any kind of business across borders. Multi-currency management and multi-rate management, give total control of budgets, costs and invoicing. 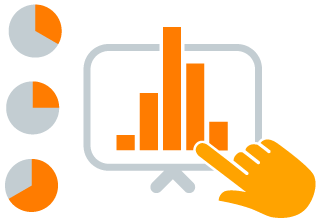 NVP, Earned Value at your fingertips. Thanks to its extreme flexibility, Triskell can provide any kinds of KPI, even your most specific ones.